The ebook edition of TRUE FICTION is only $1.99 and the print editions are 50% off. 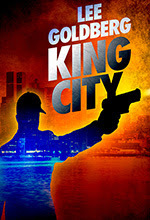 The ebook edition of KING CITY is only 99 cents…and the print edition is 20% off. The seven volumes of THE DEAD MAN series, each one containing three action/adventure/horror novellas, are only 99 cents each…and the print editions are 25% off. You can find the entire series here.